Since the days he shook the pulpits of Victorian London with Christ-centered passion, each succeeding generation seems to discover Charles Spurgeon anew. Featuring stirring sermons on the birth of Jesus, this collection offers homiletic gems from the "Prince of Preachers." In sermons as timeless as their topics, Spurgeon combines keen intellect, scriptural truth, and a zeal for making God known to a world in darkness. Charles Haddon Spurgeon (1834-1892) was Victorian England's most gifted pastor. Ordained at age twenty, just four years after his conversion, Spurgeon opened his career of spectacularly effective preaching at London's New Park Street Chapel. Even in his own time, Spurgeon's printed sermons--there were nearly 3,600 of them--were prized by fellow preachers for their ideal homiletic models, and by ordinary believers for their deeply devotional encouragement to follow Christ. 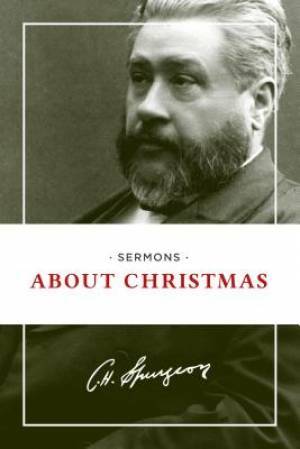 Sermons about Christmas by Charles Haddon Spurgeon was published by Hendrickson Publishers in November 2014 and is our 37275th best seller. The ISBN for Sermons about Christmas is 9781619702707. Be the first to review Sermons about Christmas! Got a question? No problem! Just click here to ask us about Sermons about Christmas.